Disclosure: I receive commission for purchases or clicks made through some of the links in this post. 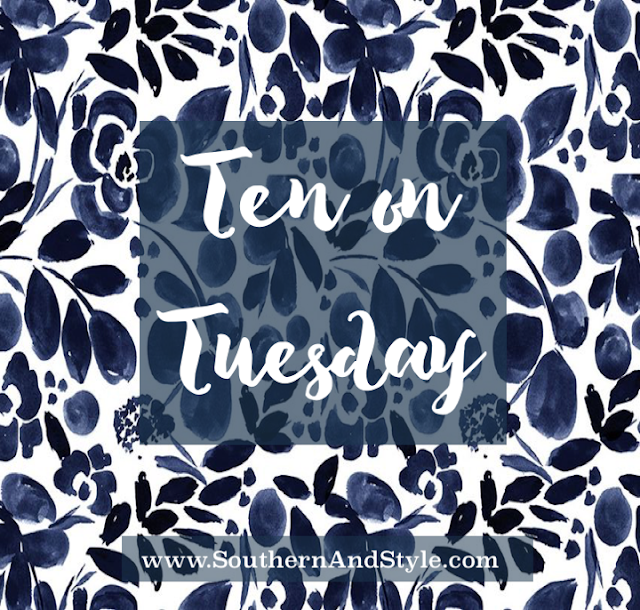 Thank you for supporting Southern & Style! Let's see what's been going on with this week's Ten! 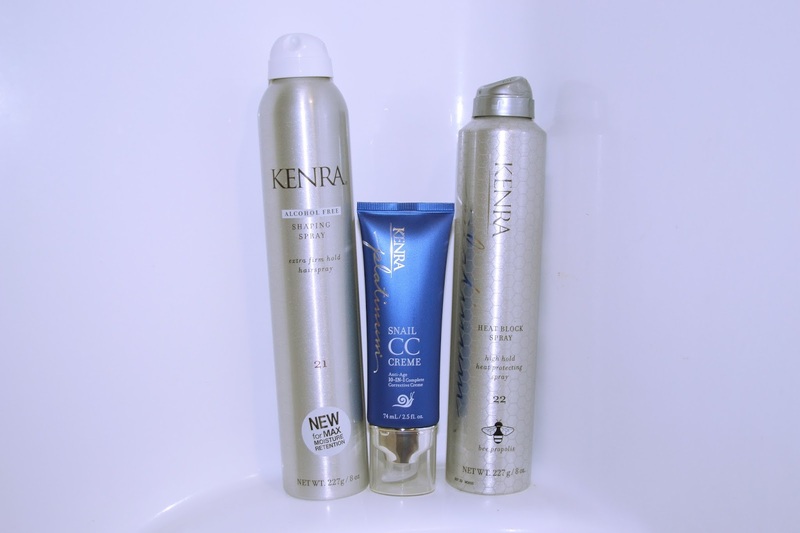 Over the past few weeks I've had the opportunity to test out the Kenra Platinum Snail Collection. 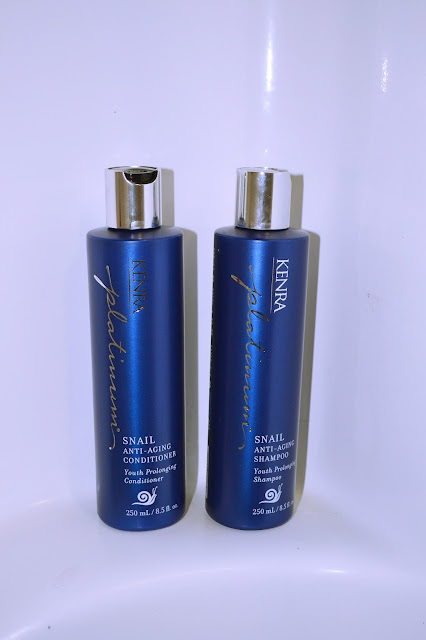 Don't let the "snail" in the name turn you off-it's snail essence used to bring out the youthfulness in hair. Spoiler alert-I liked everything, I might be hooked! Here are the products that I tried out, what their claims are, & what I think of them. . . The claims are that it fights signs of aging hair, it's lightweight, restores/prolongs youth, etc. I used this after washing my hair (which I try not to put too much product in my clean hair, because I find it weighs it down) and this didn't weigh down my hair. My hair is really frizzy and prone to breakage, I feel as though this product really did help my hair become smoother and more manageable. Wins in my book! This is the first professional alcohol free hairspray (necessary for me because the ones with alcohol do tend to dry my hair out if I use them repeatedly), it helps your hair retain moisture while having an extra firm hold and high shine. When curling or styling my hair, I have to have a hairspray because it tends to loose it shape very easily. This spray was awesome at keeping my hair tamed and like I said, didn't leave it dry like most other sprays do! It provides heat protection up to 450 degrees & allows for clean release from styling tools. This spray is the answer to my prayers, y'all. When I was in Nashville I took this & the shaping spray to test them out and they worked together perfectly. This isn't advertised, but I found that when I used this on my hair on day one of having clean hair, I found I was able to go longer between washes-a miracle for my oil-prone scalp. If you only get one thing from this line, I really recommend this! Fights all 10 signs of again hair, provides softness, restores shine, & is formulated without sulfates, paragons, and sodium chloride. This is the only shampoo I've been exclusively using since I got it & I love the way it leaves my hair feeling. It's been shiny and very soft and I'm hoping since I've started using now it will really help my hair stay stronger and younger over time. Fights al 10 signs of aging hair, restores manageability & prolongs youth in hair, delivers moisture, radiance, and resilience to hair, & formulated without sulfates, paragons, and sodium chloride. Once again, I'm using this exclusively and hoping that it will help my hair stay stronger and more youthful. But I've noticed that my hair is certainly more manageable and more moisturized. Overall I would consider this collection a total win! You can pick these up at at Ulta or from Kenra's Website. If you (or someone you know) are getting married soon, read this article on 7 Wedding Day Tips to Make your Big Day Unforgettable! This is proof the best things in life come in the Fall...cookie butter Oreos are out! October 19th can't get here soon enough because then it will be time for 13 Nights of Halloween! If you're reading to go apple-picking, here's a roundup of a ton of delicious apple recipes you can make with your bounty. So last Friday my sister & I made eye appointments at the same time so our Mom could come and drive us home (driving for me with dilated eyes is a no-no). As a treat when we finished at the eye doctor, we headed to my favorite little coffee trailer in downtown Oxford, AL for Fall drinks! Also, how adorable is my sweet Mama? I adore her & how supportive she is to this little blog of mine! Before our eye appointment we treated ourselves to much-needed pedis and I got the prettiest color on my toes: Kennebunk Port by OPI, it reminds me of Southern Belle in Training, since she's from Maine! Thank goodness, Miss Alabama has some sense! Tomorrow we link up with Sarah & Emily for the last installment of the Fall Favorites link-up and it's home tours! Until then, why don't you check out my friend Anita's home tour at Far Above Rubies? Her place is way prettier than mine will ever be! A big thank you to BrandBacker for providing me with product in exchange for an honest review. All opinions are my own. Thank you for supporting brands who support Southern & Style. Glad to hear you enjoyed the Kenra line. I've been interested in giving it a try! I wish I still had cable so that I could watch the 13 nights of Halloween =[ so sad! Cookie butter Oreos?! I need to try those STAT! Oh my goodness, all of this fall stuff is making me SO excited! CANNOT wait for 13 Nights of Halloween and the cookie butter Oreos sound like a MUST TRY. Thanks for this!